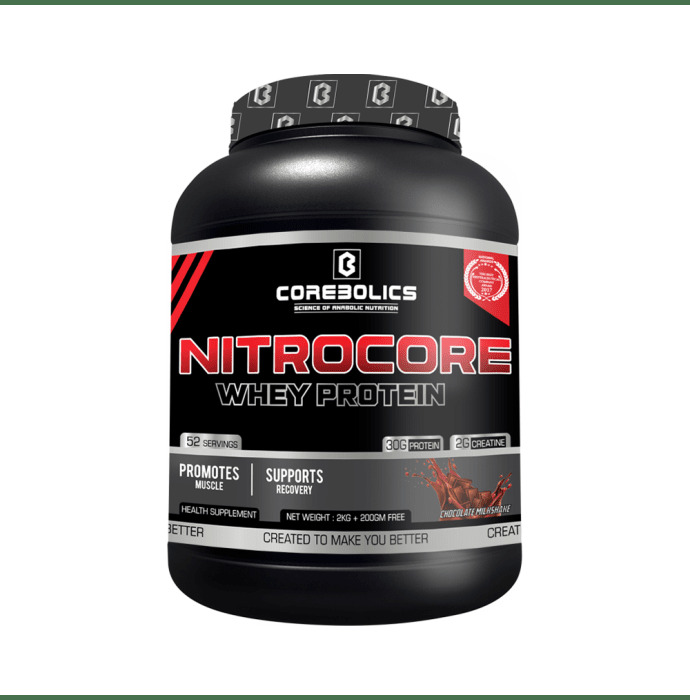 Corebolics Nitrocore is a scientifically engineered, whey protein formula designed for all athletes who are looking for more muscle, more strength and better performance. It is made from unique and effective macro nutrients. Mix 1 serving 42 gm (1scoop) in 6oz. of cold water or skimmed in a glass or shaker cup. Use a post workout shake or in between meals. Drink 8 to 10 glasses of water daily.